Now this rumor’s pretty hot, like a seafood cake coming out of the oven. If it turns out to be true, we should probably all be freaking out and getting that skunk to bring us luck. According to a user on NeoGAF, He was having some beers with game industry folks and one of them was Sony PR. 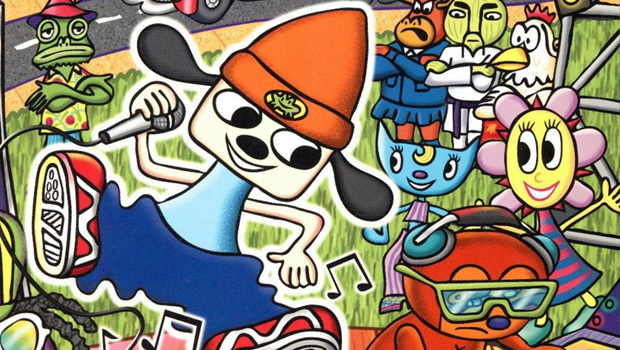 Apparently he had a few too many and might have spilled the beans on a new Parappa the Rapper title coming to the PlayStation 4 and Vita. Whoops. The PR person did say it would have HD illustrations and evoke the spirit of the original. Interstingly enough, it was going to be co-developed by Sound Shapes‘ Queasy Games and LittleBigPlanet‘s Media Molecule. It’ll also use technology from Media Molecule’s upcoming Vita title Tearaway. Now, take a grain of salt with this since this is a pretty out-there story. But Sony does plan on announcing some new titles on today’s GTTV with Geoff Keighly. Could that be one of them?